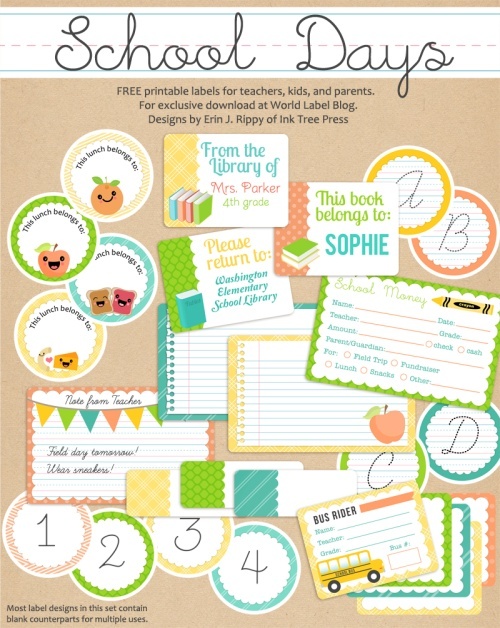 This really cute set of labels for School Kids and Teachers is designed by Erin Rippy of InkTreePress.com Printables are in PDF templates, they are both fillable and editable. Yes, they are ready for your to insert your own text and personalize. This entry was posted in Label Design, Labels & Printing and tagged back to school labels, free label templates, free printable labels, kids label templates, kids labels, labels, printable labels, school label templates, school labels, teacher label templates, teacher labels on August 2, 2012 by wlmanager.